Ships today if you order in the next 2 hours 10 minutes. 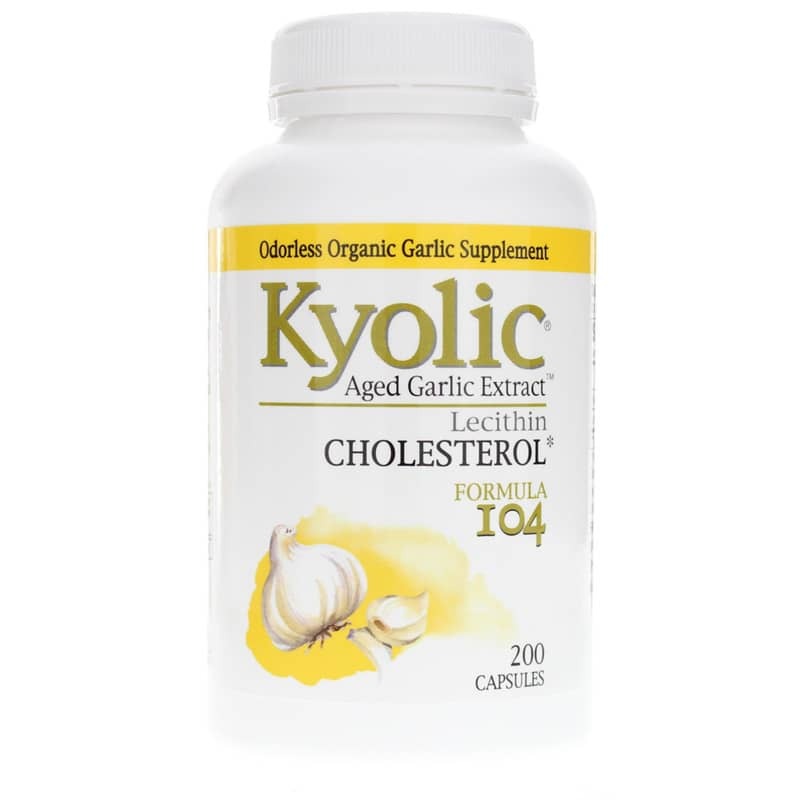 Kyolic Aged Garlic Extract Lecithin Cholesterol Formula 104 contains aged garlic extract, which supports healthy cholesterol levels and healthy nerve function, and may quench free radicals that may oxidize LDL cholesterol and damage heart tissue. Lecithin and its main constituent, choline, are important building blocks for all cell membranes. Choline is necessary to make the crucial neurotransmitter, acetylcholine, in the brain and nerves. Studies have suggested that choline and lecithin may help to maintain healthy cholesterol levels and nerves. Other Ingredients: Gelatin, Silica and Magnesium Stearate (vegetable source). Lecithin derived from soybeans. Contains NO: sodium, yeast, dairy, preservatives, sugar, gluten, artificial colors or flavors. Adults: Take two or more capsules with a meal twice daily. I have been ordering from this company for a couple of years.They are fast,the website is easy to place orders.They seem to always have what I order too!